Handmade Tibetan OM Mantra Bracelet Tibet 925 Silver Bracelet. 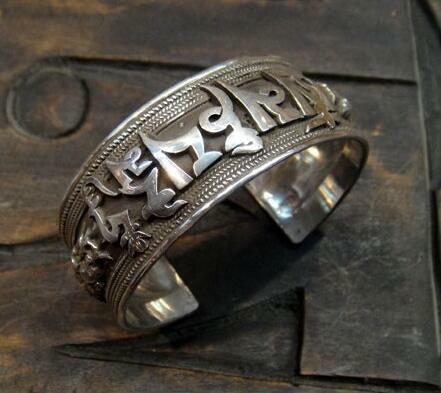 It was handmade in Nepal from sterling silver . Width: 27.28mm. Weight: 77-80g.